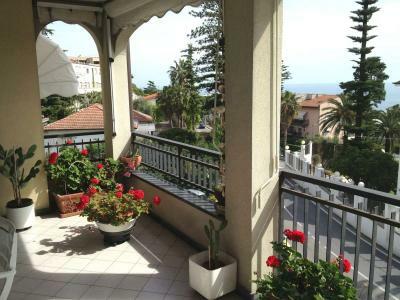 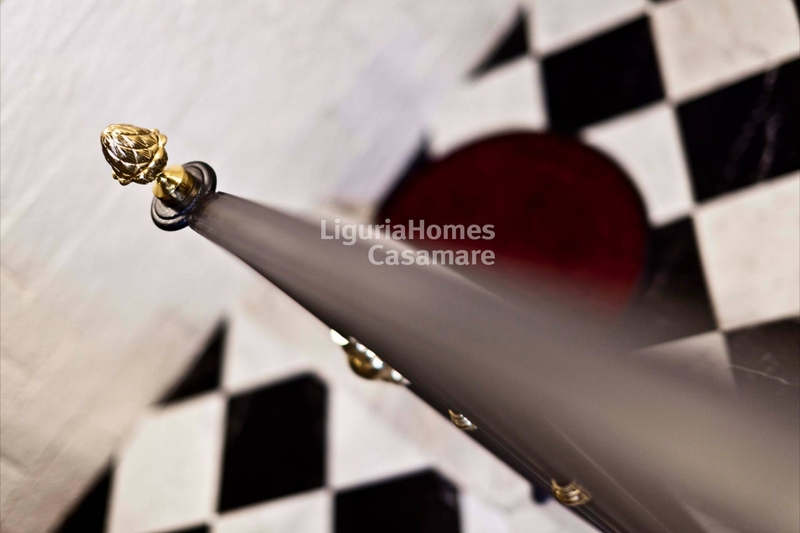 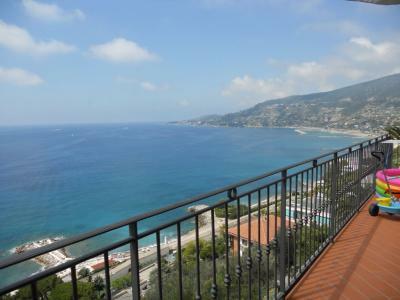 In one of the oldest buildings of Bordighera, which was the first hotel of the town, large two bedroom Apartment for Sale superbly restored taking care of all details. 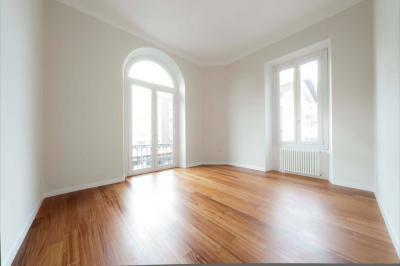 It is located in the heart of the city, just 50 mt from the beaches and at walking distance from all the amenities. 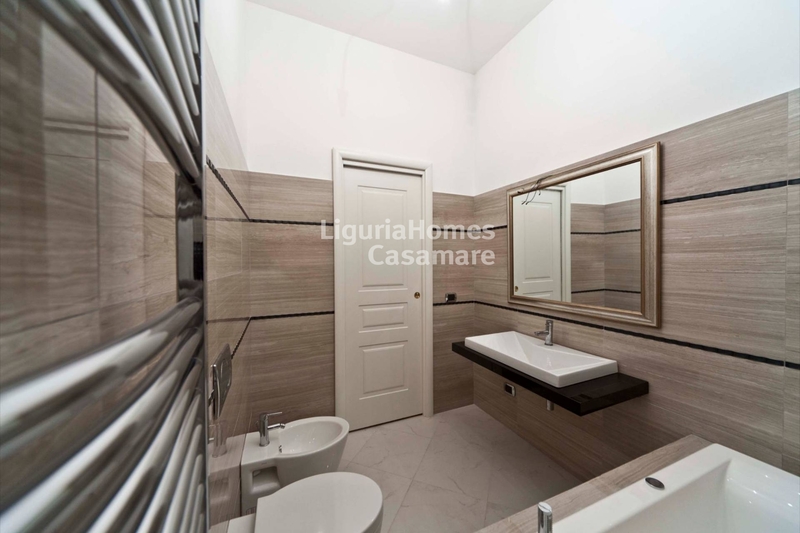 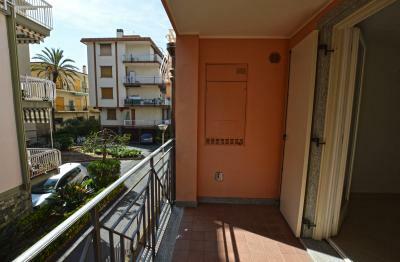 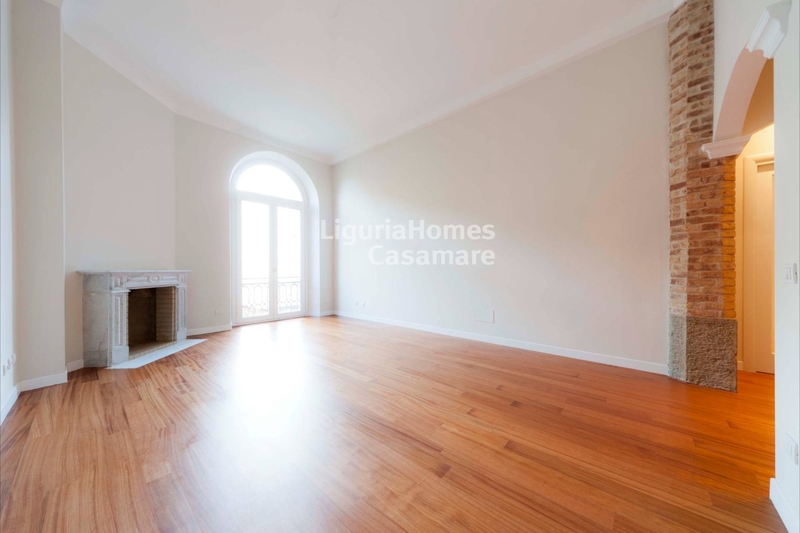 This two bedroom Apartment for Sale in Bordighera, is at the second floor, and consists of: entrance, large lounge with fireplace, kitchen finished with Carrara's marble, two double bedrooms and two bathrooms. 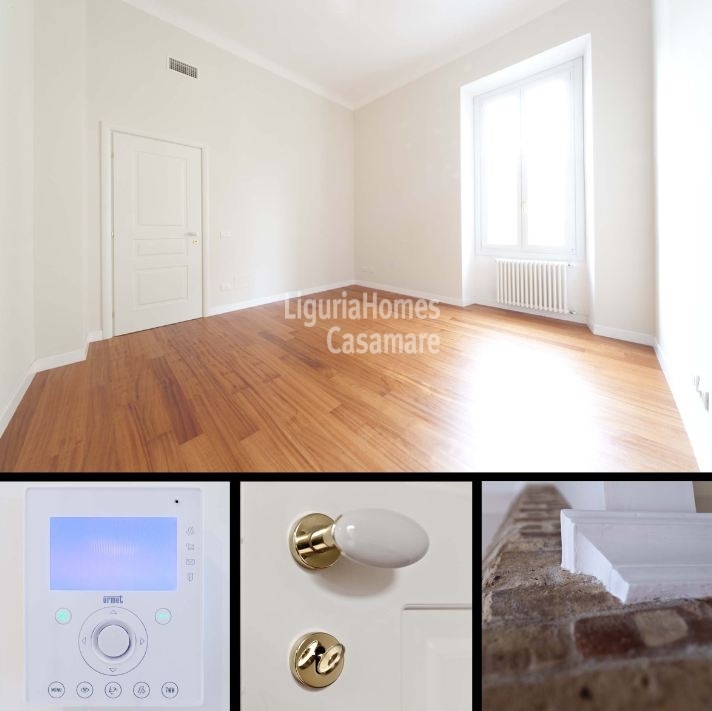 The modern style of the renovation has been perfectly mixed with the old style of the house with all comfor included like air conditioning; have been respected characteristics like: high ceiling 3.70 mt, large windows that provide a beautiful light in all the rooms and the ancient stone walls, wonderful parquet in the living room and in the bedrooms. 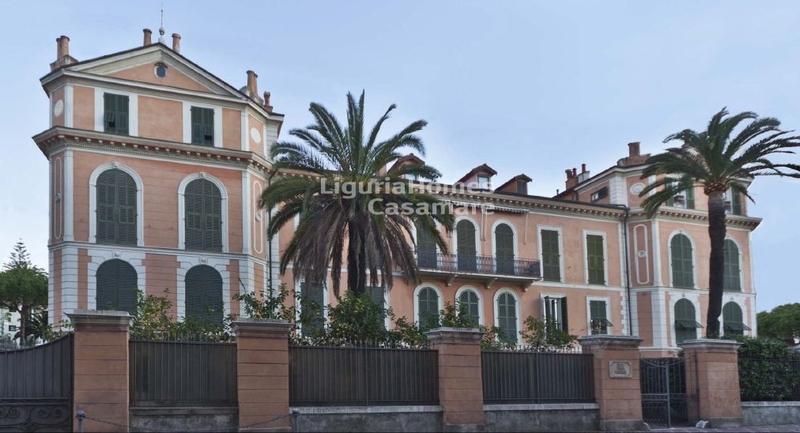 To complete this property, among the most luxurious on the market today of Bordighera, a parking space inside the courtyard of the palace.